This course will be designed to accommodate novice as well as experienced writers, demonstrating how even the shortest stories can be impactful and convey a sense of breadth and density. 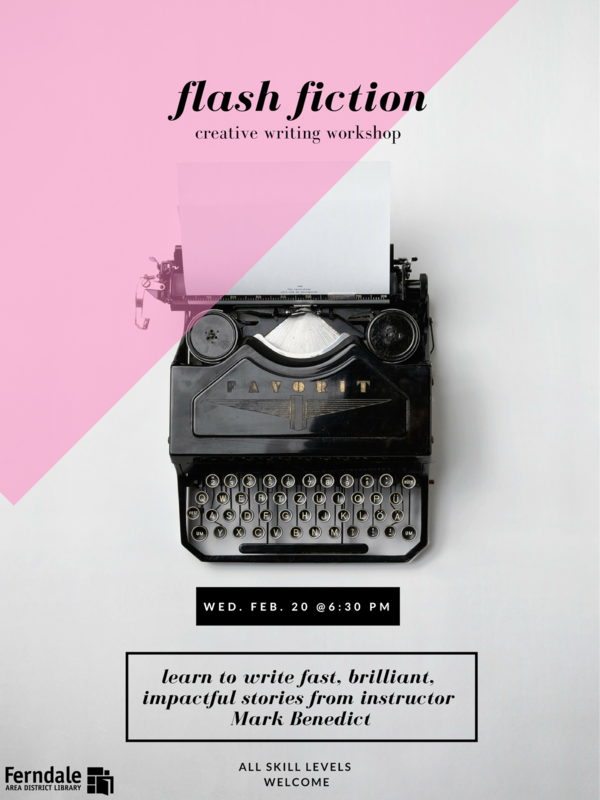 Participants will be exposed to a number of flash stories and will be given brief in-class writing assignments as well as a strictly voluntary homework assignment. Instructor Mark Benedict holds a MFA in Writing from Sarah Lawrence College, and has published more than a dozen works of short fiction.